The pic explains the problem very well. I have internet connection, so I can access other services. I already done the basics (change DNS, put firewall exeptions and etc). Yesterday morning I was playing ok but at night i got this. 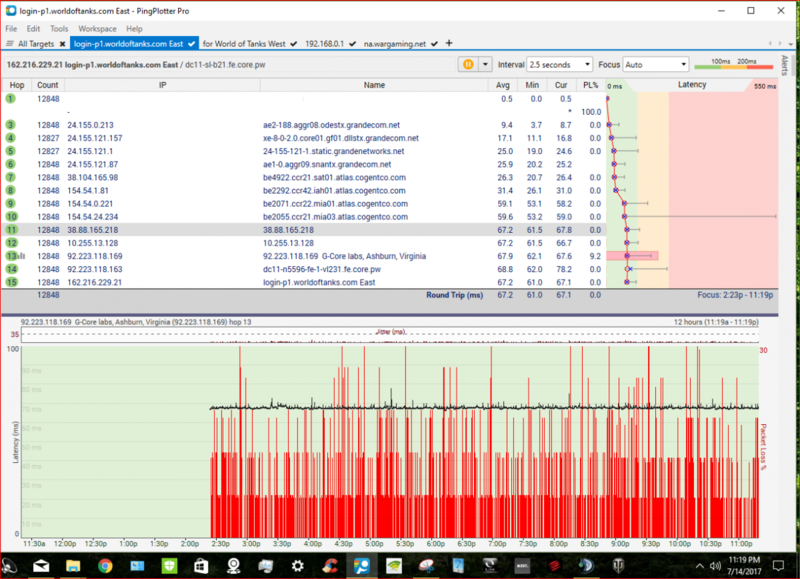 This ping plotter report is from yesterday and the east server has excessive packet loss on wargaming's end. Edited by __WARDADDY_, Jul 15 2017 - 14:54. Is this a Mac or a PC? 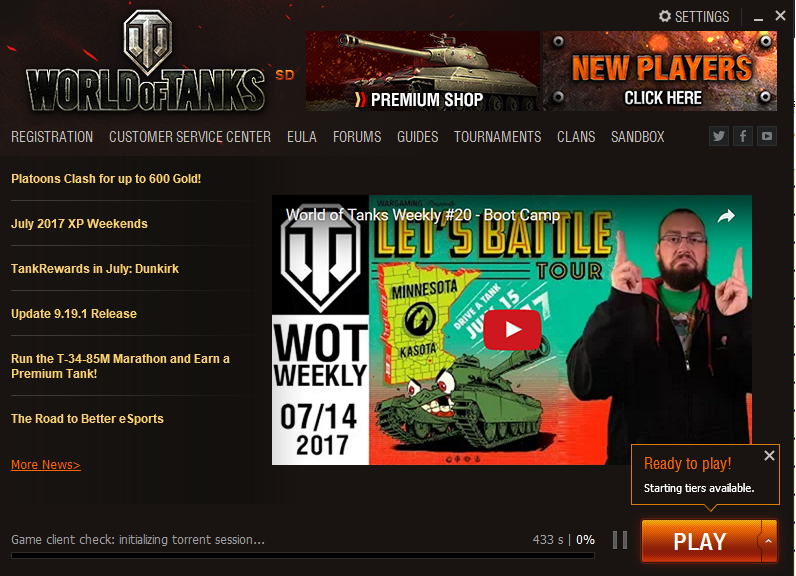 If this is a PC, click your Windows start button, type in %appdata% >> roaming >> Wargaming.net >> delete the World of tanks folder. This is just temp data that gets corrupted from time to time. Edited by Lethalhavoc, Jul 15 2017 - 15:32. Don't bother with a ticket I opened one four days ago and the third and most recent reply i got was "other people can play the game" and the tech closed the ticket. I'm on pc by the way. Also for those of you who are like me and are trying a fresh install if it seems like the WOT program isn't downloading the updates anymore just close the program and reopen WOT.exe i'm at 3% now after only three hours smh shame on you wargaming. Edited by WIZD, Jul 15 2017 - 16:14. Don't know what I did....or if what I did fixed it but I play now. I was messing with the compatibility stuff.